Limerick Person of the Year 2016 Luke Culhane was a guest speaker at the Zeminar show Webwise Internet Safety talk in the RDS. Luke shared his experience surrounding his viral video focused on cyberbullying which has been viewed more than ten million times at the Zeminar event. 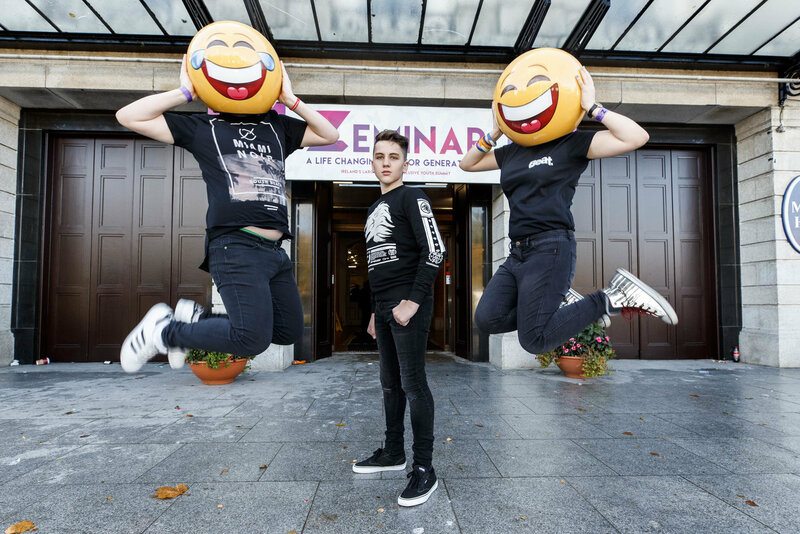 The Zeminar event, which was hosted by RTÉ’s Stephen Byrne, is a social enterprise created to bring all those invested in the development and well-being of young people in Ireland to one place. Zeminar is an event for Generation Z, particularly those aged between 15 and 20, and their parents, teachers, mentors and coaches. Zeminar is facilitating the introduction of young people to some of the best and most innovative organisations on this island. Throughout the event, there was workshops, influential speakers, essential resources and fun activities. Attendees left the event with new knowledge to help them live happier, safer, and more fulfilling lives. Luke Culhane participated in the second half of the session on the day which was a panel discussion with young people discussing their use of social media and the internet. There Luke shared his experience of creating a campaign and message that resonated with people, young and old around the world. The panel discussion was an opportunity for students to showcase youth-led initiatives promoting a better internet, creating positive environments and tackling internet safety issues in schools and communities across Ireland. The session ended with information on how young people can sign-up to become a SID 2018 ambassador and how to participate in SID 2018. Luke was joined at the panel discussion by two members of the Webwise Youth Panel and two members of the Irish Second-Level Students Union (ISSU). The international admiration for Luke’s efforts stretched all the way to December 2016 when he was named Young Person of the Year by prominent French newspaper Mon Quotidien.